We are extremely happy to announce that Charlotte Keates has been shortlisted to among 16 artists for the Pulse Prize 2018! Our booth will be located in the South Tent (S215) and will present Charlotte Keate's new body of work 'The Kennedy Trip'. 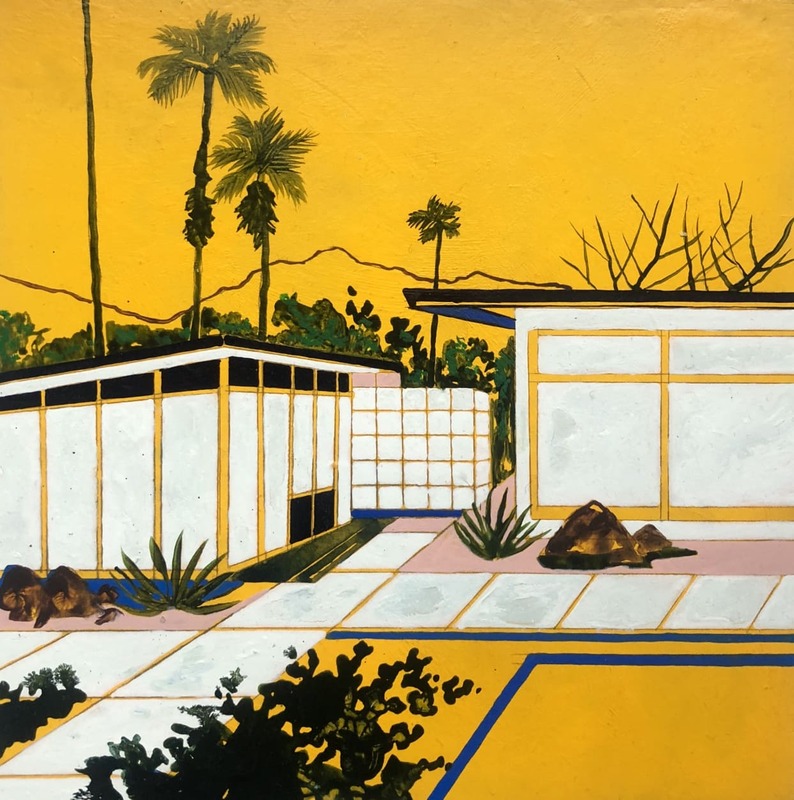 Keates' colourful depictions of mod interiors and exotic aesthetics recalling California or Florida have become in high demand by worldwide collectors. Her work, which often sells within days of release, are memorable for their vivid architectural structures, with a nod to 1960s and 70s design. The much anticipated Miami show will feature Keates’s trademark mesmerising scenes with large windows, big plants, palms, and a selection of lush greens, blues and detailed pops of colour.